"I need a software program that will line up a whole list of M4A format music and then convert it to MP3. I have a whole lot of M4A music albums I want to turn to MP3 and I want to do it as fast as possible. Can anyone suggest a software program that can help me out?" Sure. 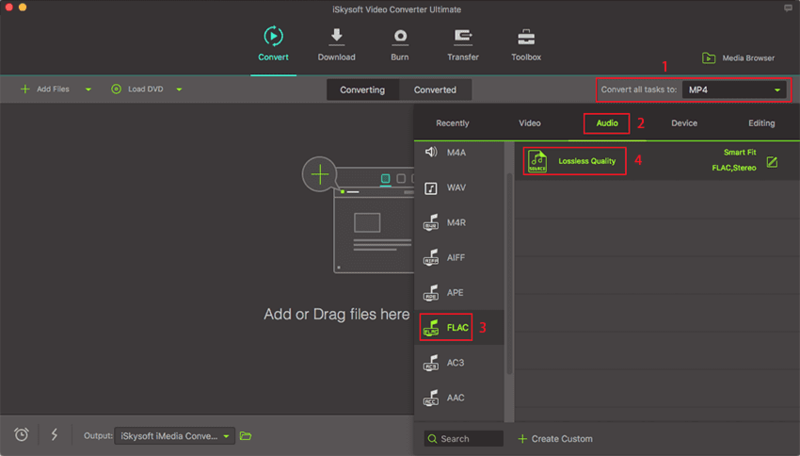 You can use iSkysoft Video Converter Ultimate to do the job. It's professional in converting video and audio files in all hot formats like AVI, MP4, MOV, WMA, M4A, MP3 and more. With an easy-to-use main interface and superb fast conversion speed, it enables you to convert M4A to MP3 on Mac with ease. Oh, yes, if you want to convert a bunch of M4A files to MP3, you can use the batch conversion feature of the program. The Mac converter even provides you some presets for iPod, iPhone, iPad and more to simplify your conversion. Extract audio files from videos. And it supports over 150 video and audio formats. In addition to M4A and MP3, it allows you to convert audio files between any two common audio formats, such as WAV, AC3, AAC, WMA, OGG, etc. Download plenty of Music Videos from YouTube, VEVO, Vimeo, Hulu, Dailymotion and more online video sites. Burn different videos to DVD. Downlaod and install the Mac APP, launch it, and to add your original MP3 songs, you can directly drag and drop the source music files to the program or go to the main interface and click "Add Files". The Mac Converter supports batch conversions so you can import several files to convert at one time, just hold the command key and select your files, drag and drop them to the M4A to MP3 Converter. At the right part of the converter, there is a row of output formats divided into several sections. You can find MP3 format under the Audio tab. You will be able to customize the format parematers if you feed the need to change some format parameters. Just click the "Edit" icon to achieve that. You here only need to click the "Convert" button at the bottom of the main interfa the rest then will be finsihed automatically by the Mac Video Converter Ultimate. By default, the output files are saved in the folder of iSkysoft Video Converter Ultimate, but you are able to specify it by going to the top menu bar "File" - "Preferences" - "Convert" - customizing the "Output Folder". That's all! What's more, if you need to convert WAV files to MP3, please check here to get detailed guide. FFmpeg is one of the popular converting tools which is well-known for simple converting tasks such as M4A files to Mp3 file format easily. 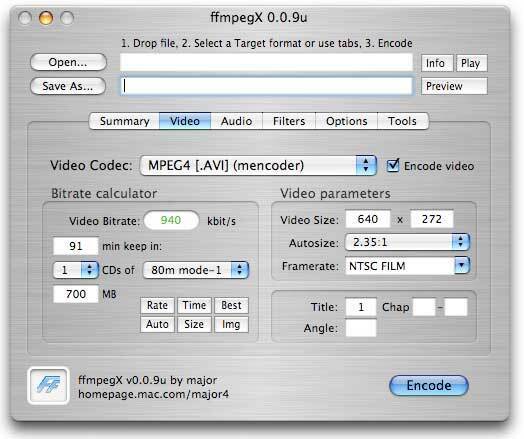 If you are looking for only converting a media file format, then Ffmpeg is the best choice. But it is only suitable for performing simple conversions. They can easily convert several media file formats with good audio quality. Supports Mac and Linux operating systems. Free M4A to MP3 Converter. Simple, Easy and reliable to use. Time Consuming for Conversion of long audio files. Not Suitable for Complex Conversions. VLC is a free multimedia player which has the ability to convert any Video or audio file as per your requirement. You can easily convert M4A to MP3 file format within minutes. It supports all the popular Video and Audio file formats for Conversion. You can easily convert or save the converted Audio file easily. Supports all the Popular Video and Audio Formats. Reads Music Files with ease. Effective for Conversion of M4A to MP3 files. Does not respond after Conversion. Time-Consuming for longer Video or Audio files. Winamp is one of the popular multimedia converting tools which is capable of converting M4A files into MP3 file format efficiently. 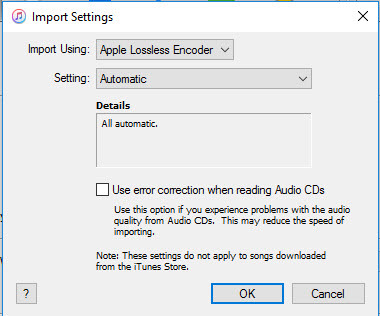 It supports a unique feature of importing Music files from CD’s. Users can also Playback Music Files before conversion. Supports basic functions for making your Audio file conversions easier. 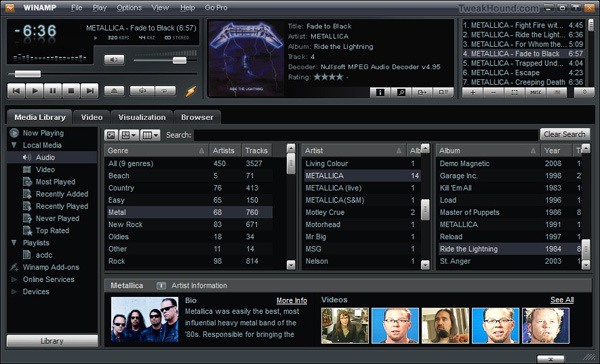 Along with that, Users can easily burn their favorite music files or songs in CD’s. In short, this tool is suitable for users who prefer to use CD’s for listening to music. Does not support other popular Audio formats. 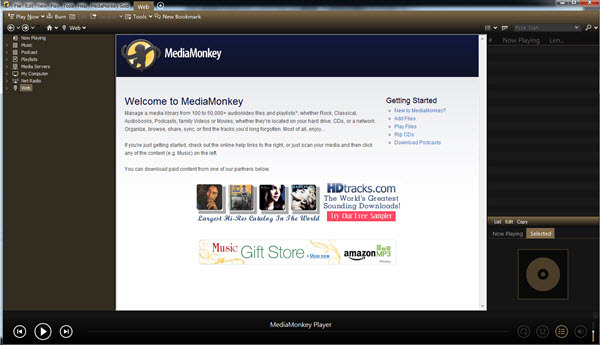 MediaMonkey is one of the best programs which has the unique feature to search your favorite songs, music files, artists or albums from internet. You can easily edit M4A files, Playback and then convert it into MP3 file format easily. Usually, it takes time to rescan the music files. So, users can simultaneously add more Music files during the rescanning of other Audio files. It can convert any audio file to be compatible with any popular Device as per your requirement. Easy to Download and Convert any Music File. Best Suited for Regular Music Lovers. Equalization of sound is missing in this software where you will find imbalance in sound quality.